The kids are over the highs of Santa visits and New Year fireworks, they're still crying boredom on the weekends, and it's still a little chilly outside – so what's a parent to do? Take the pressure off yourself; we've come up with the best indoor places around town to keep your little angels (a term used lightly) entertained, laughing and still warm. We all love a movie experience, but for something a little more special take the kids to an art house specialty theatre where your family can experience a wide range of independent and nostalgic films. Theaters like the Alamo Drafthouse, Magnolia Theatre, Angelika Film Center and Palace Arts Center offer a wide range of current and classic films in a setting which will be a little more unique than your average commercial cinema experience. If you think this place is only for lovers of dinosaur bones, think again! Kids will be entertained for hours with a variety of things to do like the early childhood creative time art lab, science activity stations, films, discovery camps and much more. Besides being a place to admire the wonders of global art, the DMA has a wide range of programs for younger kids and teenagers. Be sure to check out the DMA Teen program to connect and inspire teens with art. There are also art classes for babies and toddlers at various times, so check out opportunities in the art studio. Fun for the entire family, parents can perfect their drive and enjoy a beverage, while the kids can swing to their heart's content. 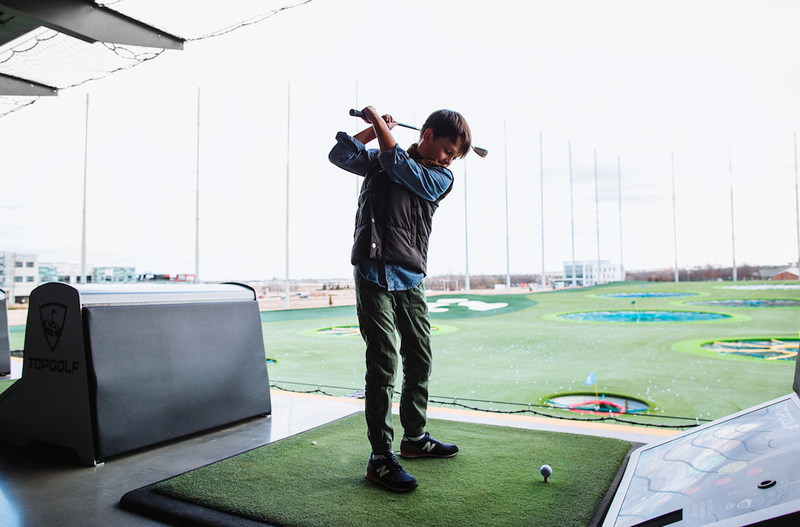 Top Golf also offers half-day clinics throughout the year and specialised coaching with certified golf pro's if you're looking for a little extra lift for your kids' game. It's also climate controlled to keep you cozy in the colder months. Located a little further out from Dallas but worth the drive, iFLY is perfect for the adventurous family who loves a thrill. Without actually jumping from a plane, iFLY gives kids and parents the experience of floating on air. Book in for a single session or book the kids into flight school academy programs for the ultimate high-flying adventure. Get your kids moving and stretching with classes for all ages. Summit provides introduction lessons for kids ages 3-6 with fun games, obstacles and balance work and teen programs for more agile movers. Parents are also encouraged to be involved and get into the action. When the weather is cold outside, combining a shopping experience with some ice skating will always be a fun day out with the kids. Whether your kids are interested in a one-off session or want lessons to learn how to perfect their skills further, the ice-skating center has a variety of different options to embrace. If you've got a little Ninja Warrior want-to-be at home, Fugitive Fitness is the place to let them test out their obstacle skills. They train kids in areas of parkour, obstacles and various defense lessons. While the Texas Discovery Garden is set on 7.5 acres of beautiful organic gardens in Fair Park with a variety of outdoor play options, they also have an incredible inside two-story butterfly house where kids can get up close and personal with hundreds of free-flying butterflies. Besides the chance of having a butterfly land on your nose, kids will love the toddler talks and butterfly release programs held daily. 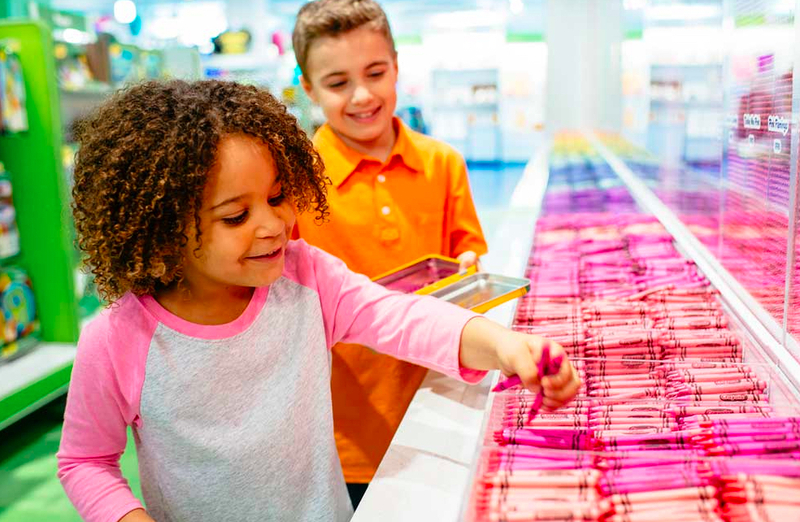 The ultimate place for little creatives to explore their bright side, the Crayola Experience is the only location in Texas. Featuring playgrounds, interactive workshops, adventure labs and crayon factory shows where kids can learn about crayons are made and so much more. One the highlights of the Dallas World Aquarium is that this place isn't just about the sea life. While kids will love aquarium displays featuring sharks, rays and jellyfish - this place also has an impressive rainforest exhibit full of exotic birds, sloths, endangered animals like Orinoco crocodiles, Antillean manatees and so much more. Kids can touch and feel some of the animals and learn about conservation projects so kids can be more aware of the environment and ocean and rainforest conservation projects. Located inside Grapevine Mills, just a short drive from DFW Airport, is the Legoland Discovery Center. For kids ages 3-10, this place is the ultimate indoor adventure zone. There's more than just building Legos; kids can also watch 4D movies, race Lego vehicles, build towers on earthquake tables and more. Step back in time and experience an 80s style video arcade like none other at the National Videogame Museum in Frisco. The museum is dedicated to preserving video games and offers an eclectic collection of rare vintage games, retro memorabilia, playable consoles and loads of information about the videogame industry. Parents will love stepping back in time with favorites like Mario, Atari, Nintendo and Sega and kids will be mesmerized by the old classics. Just as the name suggests, this place is a winning combo of cider and arcade games. With over 125 retro and new arcade games and 18 vintage pinball machines, the family will love having fun at this retro-inspired gaming hall. During the day, it's family-friendly and parents can sample from the extensive cider on tap menu. (After 8 p.m. the Cidercade is 21 years old and up only). 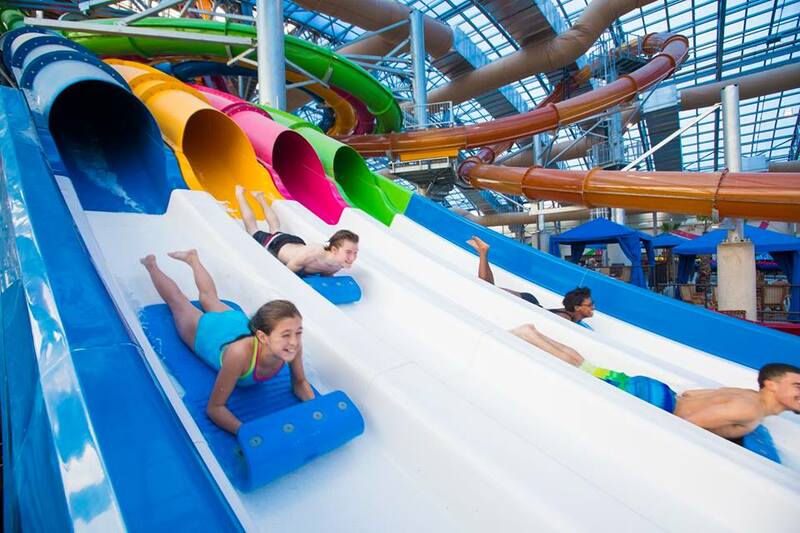 About 20 minutes West of Dallas, Epic Waters is the newest water park to hit the Dallas area. This all-year-round park features an incredible 80,000 square foot indoor/outdoor wonderland with 11 waterslides, wave pools and kiddy pools for the little ones. Come for a few hours or make a day of it but be warned – the kids won't want to leave. As far as staycations go, this is the ultimate destination to bring the family for an overnight stay and give yourself a break away from home. It's a one-stop shop with loads of indoor activities, restaurants, shopping and a fantastic indoor waterpark designed for all ages to enjoy. The perfect way to test your mind and see how well your family communicates and works as a team under pressure. This one has all types of levels to keep you thinking and great for older kids and teens who love puzzles. While the puzzles are designed for adult minds, teens will be more than fine with the challenges but children under 14 years old will need to be with an adult. With four different escape room mysteries, this escape experience always has new puzzles and challenges to solve every time. While the whole family will enjoy the bonding experience, this experience will cater to kids as young as 7 years old. Cidonie is an Australian travel writer and mother of three who moved to Dallas after previously living in China. Having lived in three continents and traveled to over 50 countries, she knows a thing or two about how to navigate new cities. When she's not out exploring the best family spots in town you'll find her exploring where to get the best chocolate, cocktails and coffee in Dallas. These restaurants are delightful places to take the whole family to go out to eat. They each have their own specialty and can fill just about any craving.